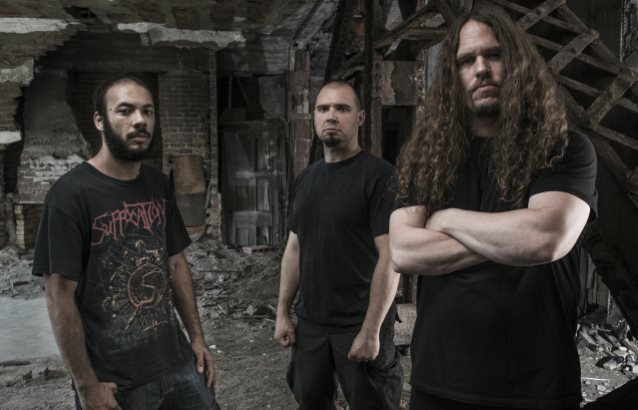 If there’s one band in the death metal scene that you can guarantee to unleash a double dose of fury and unrelenting chaos, it’s got to be that of Hate Eternal. A band that musically personifies a whirlwind of destruction, you can bet on an experience that leaves nothing behind in its wake. It’s what the band has relied on since their first release over twenty years ago, but there’s still no one more skilled or reliable. Not an awful lot of tricks up the sleeve are to be found with Upon Desolate Sands but that isn’t a bad thing. 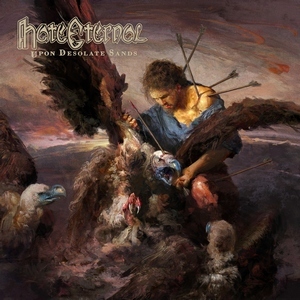 The Hate Eternal formula is nothing if not consistent, and only benefits from the slight flirtations and deviations from the norm. This time, the drumkit is manned by none other than Hannes Grossmann (who had been playing live with the act for a few years now), who compliments the intensity and sheer heaviness to a tee. The melodic nuances that have popped up in more recent years continue to be a wealthy source for the band, with bits of ever-so-slight restraint on “All Hope Destroyed” and the title track (not to mention the glorious closing instrumental “For Whom We Have Lost”) providing a sense of grandeur to compliment the ferocity. 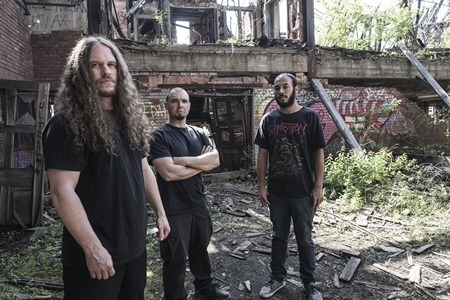 That said, Hate Eternal’s main attraction is how violently aggressive it is, and the opening trio of “The Violent Fury,” “What Lies Beyond,” and “Vengeance Striketh” are sure to peel the paint (or flesh) from anything in the nearby vicinity in a way that only they can deliver. Dependable and strikingly brutal, Upon Desolate Sands is another top-shelf effort from a band that gives fans precisely what they want but leave enough wiggle room to subtly explore melodic arenas when necessary. 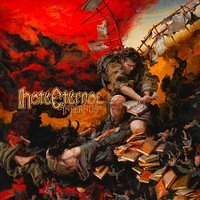 Hate Eternal may be a steamroller of a band, but the magic lies in their ability to shake the Earth with intensity while making it an experience that you want to return to and dissect the little things you may have missed out on with your last listen.